Pro Arte Sablene Round Brushes are a fully synthetic alternative to a traditional sable brush. This breakthrough synthetic offers an alternative for sable lovers, marks a new level for synthetics and is a great option for artists looking for a cruelty-free sable alternative. This round profile brush has a fine point that is great for fine detail painting and a belly capable of holding large amounts of colour fo washes. They have polished black handles and beautifully finished gold colour ferrules. 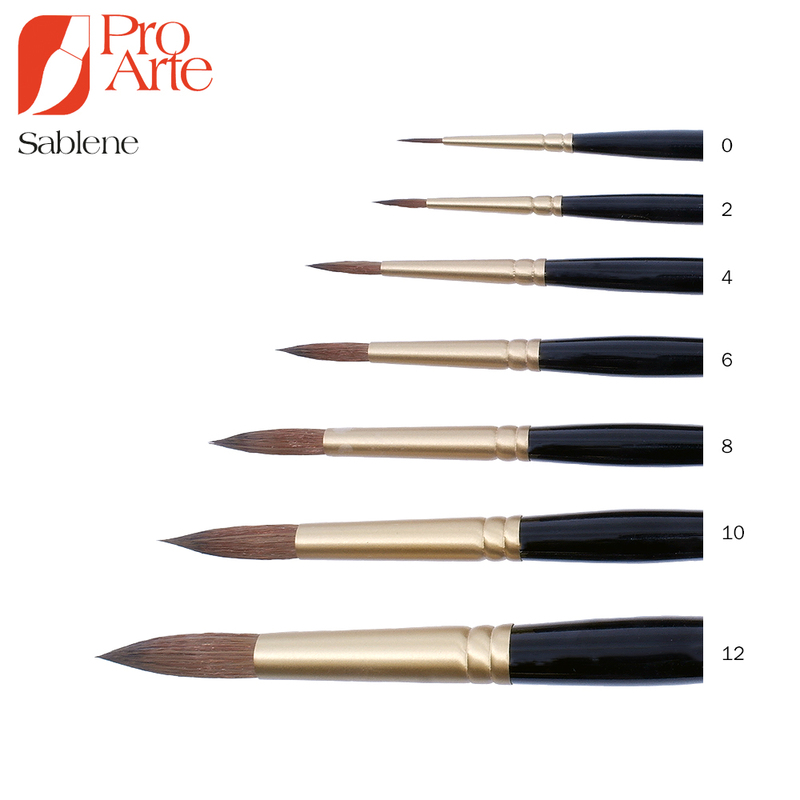 Pro Arte’s first groundbreaking synthetic brush - Prolene - was able to match the spring and pointing capabilities of a sable, but never quite matched its colour carrying capacity. Until now, synthetic hairs have not had the twists, turns and scales that give natural hair brushes their large belly. The Sablene range is the result of new technological advances that mimic these properties. Each brush is made from a selection of graded hairs that are blended together carefully to create a brush that looks, feels and performs like sable.